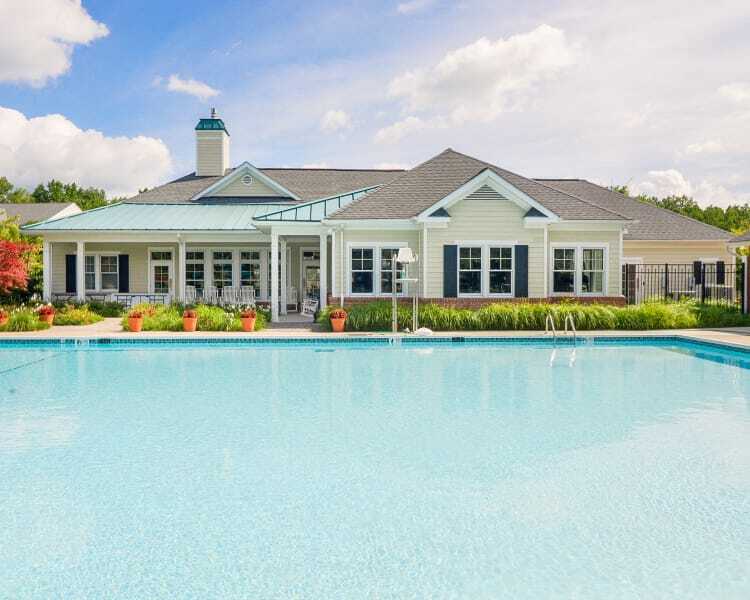 Silver Spring Station Apartment Homes bring new meaning to the word “luxury.” Perfectly positioned in beautiful Baltimore County, our courtyard community boasts impeccable homes and top-tier community amenities. With one, two, and three bedroom apartments for rent in Baltimore, MD, our community offers a variety of inspiring floor plans. Each home offers high-end features including a spacious master bedroom and a fully redesigned kitchen with beautiful granite countertops, stainless-steel sinks and an elegant backsplash. Outside your home, there are even more opportunities for leisure. Enjoy a movie in the fully furnished theater room. Take advantage of the cardio machines and strength training equipment in the modern fitness center. Go for a swim in the beautiful outdoor swimming pool. Relax and unwind at Silver Spring Station Apartment Homes. Contact the friendly team at Silver Spring Station Apartment Homes today to schedule your tour of our Baltimore, MD, apartments with spacious floor plans.